Matheran is India’s smallest hill station. 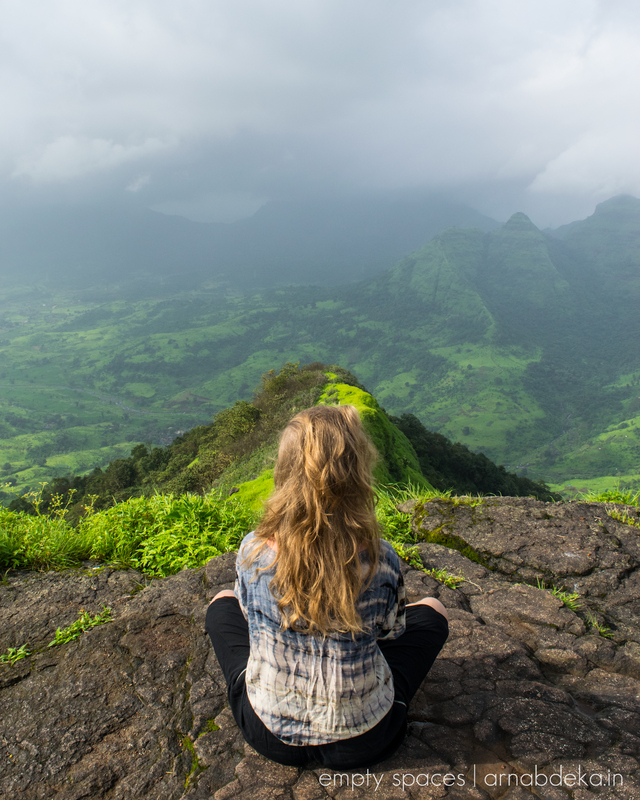 Situated in the Western Ghats range in the state of Maharashtra, and easily accessible from India’s largest metropolis Mumbai, Matheran makes a perfect getaway for seekers of nature and solitude. Matheran is an eco-sensitive zone and no vehicles are allowed except emergency vehicles. The mode of conveyance is horse riding, or one may choose to walk, which we did. Although a toy train used to ply from Neral to Matheran, due to a technical snag, it was not functional. From the moment we started our journey on a local train from Mumbai CST, it was pouring. Checked the weather a few times in quite a desperation hoping that the rain subsided soon. Such a conundrum for someone who loves the rain unconditionally. After we boarded down at Neral and it was still drizzling, we shared a cab to the Matheran entry point, beyond which vehicles are not allowed. We grabbed ponchos from a hawker and walked along the railway track, stopping once for chai and a vada pav, which was really spicy! The main road leading to Matheran is un-cemented and it was muddy, so everyone chose the railway track route. After a walk of about 40 minutes, we reached the main street, adjacent to the railway station. The main street of Matheran is lined with chikki shops (sweet peanut brittle), eateries, convenience stores, dress shops and a few cafes. The sides of the street are paved for commuters and the middle part is unpaved for the horses to ply, which is the only mode of transport in the town. Barbara, my travel mate for the trip and myself lodged ourselves into a nondescript place at the end of the street and waited for the rain to ease down. Although it was still drizzling, we decided to venture out to the forest. Fog hung in mid-air and crickets chirped all along the path, creating a misty atmosphere. Occasionally, horses with tourists accompanied by a keeper were seen. Most of the travellers, owing to the non-functional toy train, were young adults. 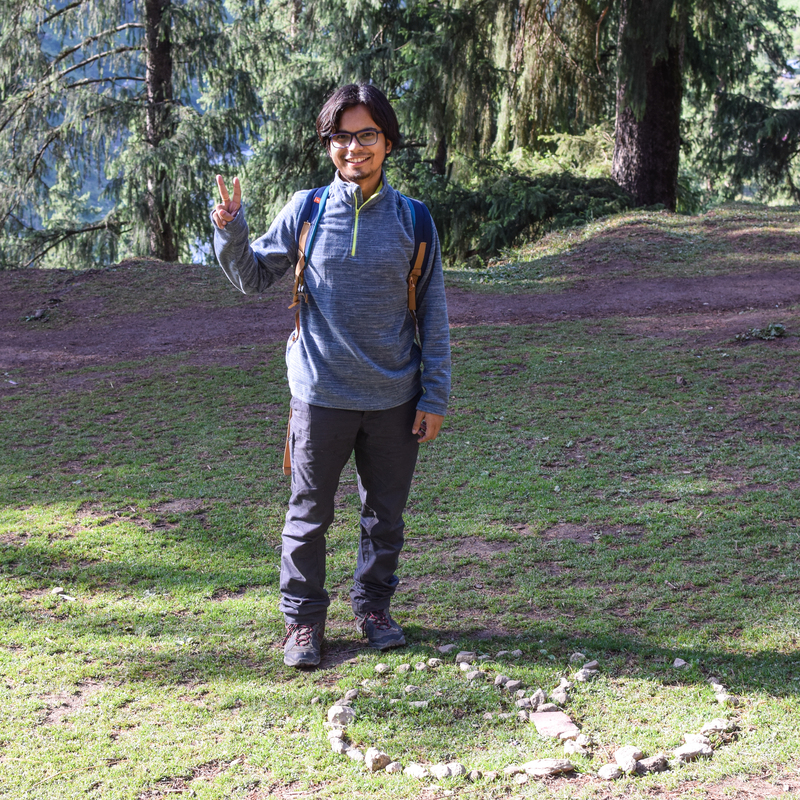 We rambled along, manoeuvring the mud and the puddles, and explored few of the viewpoints – Luisa Point, Sunset Point and Malang Point. 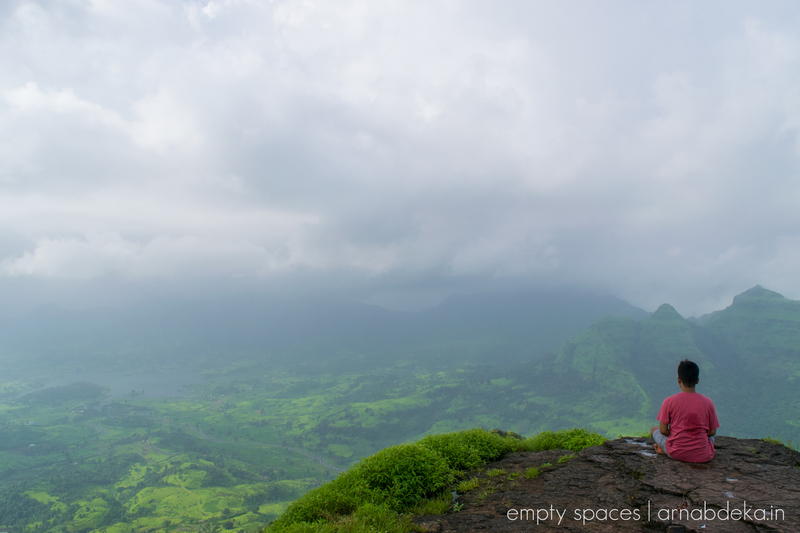 Each of the points we visited offers amazing views of the expanse of the Western Ghats. The fleeting fogs veiling the waterfalls in the Luisa Point, the panoramic view of the non-linear landscape at the Sunset Point remained etched in my memory. The sun called it a day and before it was dark we made a move to the town. By this time, most of the day tourists had left the town and only a few souls were seen in the street. It was that kind of cold that deserved a cup of hot chocolate, music and writing. Matheran can be reached by road from Mumbai or Pune. 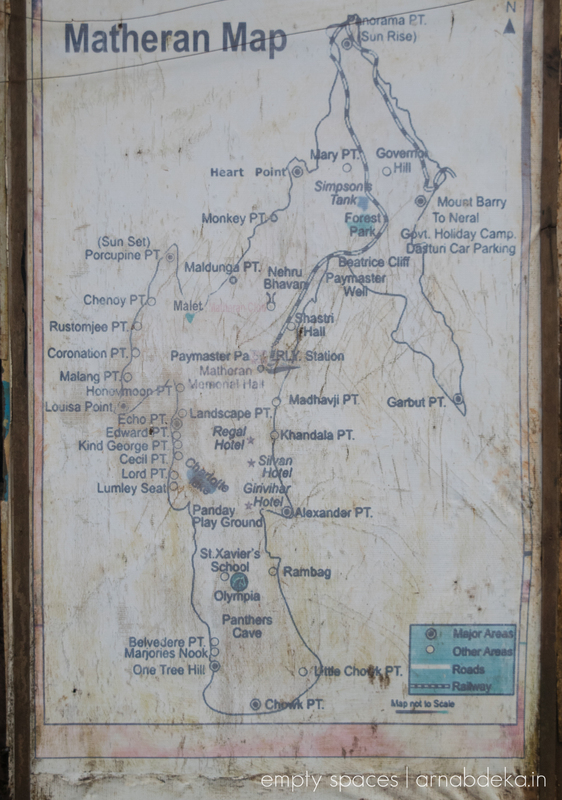 Refer to the map. 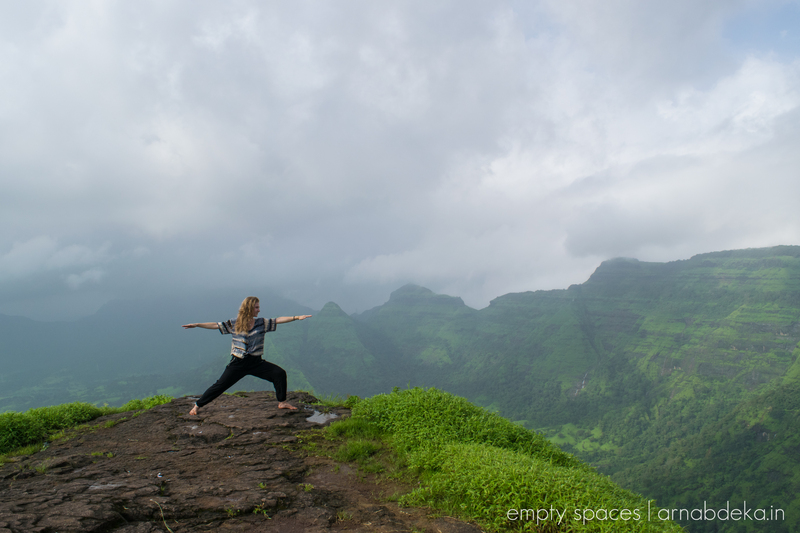 Soak yourself in the wilderness of Western Ghats! It reminded me…. my trip. I hope your time in Matheran was joyful. Yes, We went around end of monsoon. It rained in between. I would love to read about your journey. Please let me know if you have a post about it. I have write, will do soon. I went there in Monsoon, it was beautiful!